Lenovo Z5 Pro GT Launch, 12GB RAM and Snapdragon 855 processor in it. - mobilereview.online - The Ultimate resource for mobile phones reviews, specification, information. Home Lenovo Lenovo Z5 Pro GT Mobile Review Lenovo Z5 Pro GT Launch, 12GB RAM and Snapdragon 855 processor in it. Lenovo Z5 Pro GT Launch, 12GB RAM and Snapdragon 855 processor in it. The handset manufacturer Company Lenovo has launched the Lenovo Z5 Pro GT smartphone with Lenovo Z5s today. Lenovo Z5 Pro GT is the world's first smartphone that is equipped with the Snapdragon 855 processor. The Lenovo Z5 Pro GT has 7 nm Qualcomm chipset and 12 GB RAM variants available. 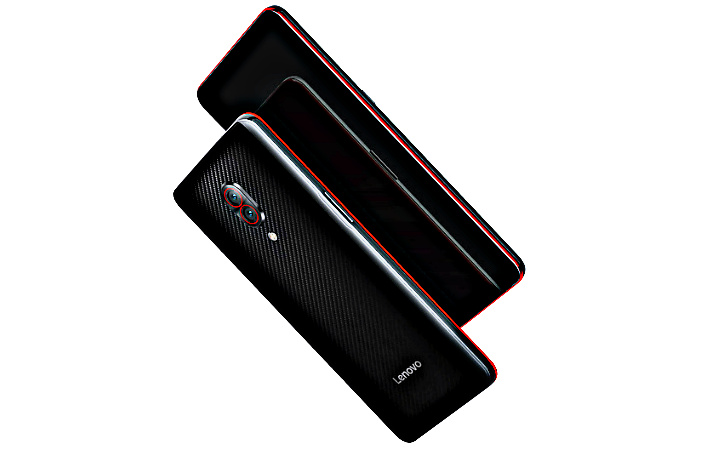 This Lenovo brand phone runs on Lenovo ZUI 10 based on Android pie. The phone does not have a display niche but it comes with slider design. For security, in-phone fingerprint sensor and face unlock support will be available in the phone. The Lenovo Z5 Pro GT in Chinese market is worth 2,698 Chinese yuan (about 27,700 rupees). This price will get 6 GB RAM / 128 GB storage variants. Its 8 GB RAM / 128 GB storage variant is priced at 2,998 Chinese yuan (about 30,800 rupees). At the same time, its 8 GB RAM / 256 GB storage variant will be available in 3,398 Chinese yuan (about Rs 41,100). The Lenovo Z5 Pro GT's 12 GB RAM / 512 GB storage variant costs 4,398 Chinese yuan (around Rs 45,100). The pre-order booking of four variants in China will begin on January 15 and the sale of phones will begin on January 24. The Lenovo Z5 Pro GT smartphone has been lowered into carbon black. When will this phone be brought in the global market, this time it has not covered the issue. Dual-SIM (Nano) Lenovo Z5 Pro GT runs on Android 9.0 Pie based on ZUI 10.0. The phone has 6.39 inches (1080x2340 pixels) Full HD + Super Amoled display, which has an aspect ratio of 19.5: 9. Its screen-to-body ratio is 92.6 percent. Corning Gorilla Glass is used for screen protection. For speed and multitasking, the phone has Snapdragon 855 processor with 6 GB, 8 GB and 12 GB three RAM options. To save photos, videos and other things, you will find 128 GB, 256 GB and 512 GB of three inbuilt storage options. With the help of a hybrid MicroSD card, it is possible to extend the storage up to 256 GB. There are two rear cameras on the back panel of Z5 Pro GT for photography. The 16 megapixel Sony IMAX 519 sensor with F / 1.8 aperture and the second sensor is 24 megapixels. On the front panel, two rear cameras will be available for selfie enthusiasts, 16 megapixel primary and 8 megapixel IR sensor. For security, the phone has Face Unlock support and In-display fingerprint sensor. Connectivity includes Wi-Fi 802.11 AC, 4G LTE, Bluetooth version 5.0, GPS / A-GPS, NFC and USB Type C support. Ambient light sensor, hall sensor, electronic compass, gravity sensor, gyroscope and proximity sensor are part of this phone. The Lenovo Z5 Pro GT has a battery of 3,350 mAh to boost its life. If you talk about the length of the phone, then 155.12x73.04x9.3 millimeters and weighing 210 grams.